A quick thank everyone who helped make Tuesday’s fundraising event at the Manzil such an enjoyable night. The money raised tonight from the meal, the quiz, the raffle and the sweet sale at the Portobello gala raised a magnificent total of £486 ! This will be donated to the Bobby Robson Foundation in memory of Peter Rushworth. Thanks to everyone who turned up, bought sweets or donated raffle prizes and of course a big 'Thank you' to Lauren and Will who pulled the whole event together. I am pleased to announce that we had a volunteer to become our new club Welfare Officer. Sarah Watson has been appointed, with immediate effect. The role is very important to the club. Sarah will be responsible for ensuring all members and volunteers are up to date with all the necessary training outlined by the governing body, relating to the welfare of our members. In addition to this, the welfare officer is available as the first point of contact if any child, parent or adult within the club ever had any child safeguarding or welfare concern. The welfare officer is independent of the committee and of the coaching squad for this reason. Should anyone ever need to contact Sarah directly, email here . Please join me in welcoming Sarah to the role and thanking Andrea for doing the role over the past few years. As you may be aware, MASC is a 'Swim 21' accredited club. By following the guidelines and good practices outlined in the 'Standard' we ensure we are following the advice of the governing body of the sport - the ASA. This year, the recommendation by Swim 21 was that our club code of conduct should be revised in line with the ASA's standard. The new code of conduct now contains details for all members - swimmers, coaches, volunteers and committee members. The revised code of conduct document can be found on our Club Policies page and would ask all members to take a few minutes to familiarise themselves with it and also ensure their children see and understand the part relevant to them. There has also been a specific section added regarding Social Networking that now plays such an important part in our everyday lives. This can also be found on our Club Policies page. Again, if you could take a few minutes to read and discuss with any younger members that would be greatly appreciated. After a review of training times and squad costs it has been decided that the Senior squad fee will be reduced to £18/month from the start of November. The available training hours will also be reduced slightly in line with this reduction. The morning sessions available to the Senior squad will be limited to Wed only (no more Mon or Fri am sessions for seniors). As I am sure everyone is aware we have been having some changes in squads that Becki has outlined. The committee has given Becki full support on these changes and we firmly believe they are a good move for the club, giving swimmers (and parents) some clear goals and guidelines to what is expected from each squad and what it means to be a member of each squad. Ideally, when the changes were announced we would have liked to have announced the monthly fees for each of the new squads but we did not have enough information at that time to make an informed decision. Even now, several weeks into the changes there is still much discussion with the Leisure centre about exactly what time we are allowed in the pool. Although there may be some minor changes to training times we are confident that there will be no significant change to training times so have agreed on the monthly fees as set out below. Could anyone who is affected by these changes please alter their monthly payments for June in line with these changes. I realise the squad changes took effect in May but we are not asking to collect any 'arrears' from May, we will start from June 1st. If anyone who is now paying less than before wishes to get a refund for the 'overpayment' in May, please send an email to (treasurer@morpeth-asc.org,uk) and this will be arranged. Please note, with effect from November Seniors fees will be lowered to £18 per month. Becki has updated the MASC Squad Criteria document, to see the new version please go to the Squad’s page. 2. as before, by BANK TRANSFER online or by BANK DEPOSIT at the bank into the MASC Barclays account. Please note that the RECURRING SQUAD FEES should continue to be paid by STANDING ORDER as is the case now. My hope is that the payments box will be welcomed by Minnows parents to get started and by all others for the money owed for bits and bobs. As some of you may be aware the new pool times agreed with the pool management didn't 'work out' for a number of reasons..... Following a meeting last week with the pool we have made some good progress. Junior Performance - NO TUESDAY PM SESSION. We are still looking at securing additional pool time on a Tuesday evening. Swimmers in Junior Performance who attend all other sessions normally can attend Friday AM 7-8am to make up for the 1 hour lost on a Tuesday night. All other squads stay the same. Please note Monday, Wednesday and Friday mornings are still 7-8am. Tuesday and Thursday 6:30-7:30am. After spending nearly 4 months coaching and observing at Morpeth ASC I am now in a position to begin moving the club forwards. The current club structure Minnows-Development – B – A – AB -AA does not offer clear enough guidelines on how swimmers progress from one squad to the next. The age, ability (physical & technical), attendance and goals of the swimmers in each squad vary significantly. This has and will continue to make planning and implementing training programmes very difficult. It also makes it difficult for swimmers in each squad to work towards their individual goals. Many of the squads are also overcrowded with too many swimmers in each lane. I have been in discussions with the pool regarding the pool time allocated to the club and each squad. The current squad structure will be replaced week commencing 8th May 2017. Training times for each new squad can be found below. The restructure is necessary to allow all swimmers to fulfil their potential, this includes swimmers who no longer wish to compete and Morpeth ASC will continue to have a non-competitive option. However, we must also meet the needs of our younger swimmers and top end swimmers to allow them to fulfil their potential at Morpeth ASC. The new structure will fall in line with the Long Term Athlete Development plan. Parents will all receive an email to let them know which squad their child has been allocated to by Wednesday 3rd May. If you have not received an email by 9pm please contact coach@morpeth-asc.org.uk No swimmer is being moved ‘down’ or ‘up’ we are starting with a blank sheet! As part of the restructure Squad criteria for each squad will be introduced to give more guidance on how swimmers progress from one squad to the next. The Squad Criteria for each squad is split into 4 sections: Goals, Entry criteria, Maintaining your place (attendance and performance), Exit criteria. Squad movement and review will be 3 times a year, September, December and April. However, on occasion if I feel a swimmer needs to be moved between these times they will be. A FAQ sheet about the restructure cand be found here . With the new pool proposals and a lot of young talent in the club these are exciting times for Morpeth ASC! I hope the whole membership will get behind moving the club forwards over the coming months. Please find the new Squad Criteria for Morpeth ASC here which is effective from 8th May 2017. This is a 'live document’ and will be reviewed. I understand some swimmers and parents will need to adjust timetables etc to hit new session times and/or minimum attendance criteria. This will be taken into account initially. Also the minimum attendance level is not the recommended attendance level Swimmers should be aiming to be at as many of their session as possible to make continued progress. It was agreed by the committee that for the remainder of this season swimmers will continue to pay their normal fees while the new squads run on a trial basis. Following a review in July/August, Fees will be adjusted to reflect changes in training times for each squad. Squad Training Times will change from 8th May 2017 and the new times are available on our Squads page. All swimmers in AB have been allocated to 'Seniors'. Please note morning training is available to swimmers in Seniors, they will need to speak to me about which AM session(s) they wish to attend. Hope everyone has been enjoying the long Easter weekend! On 6th April myself and two members of the MASC committee carried out interviews for Morpeth ASC Club Captain roles. I am delighted to announce that Will Pallett and Lauren Howe will be our club captains taking over from Ed Syndercombe and Eve Smart following the club AGM (27th April). Big thanks to Ed and Eve for their work over the last 12 months. I am looking forward to working with Will and Lauren (and the Junior committee) to help move Morpeth ASC forwards in all areas. It is now time for the clubs annual membership renewals with the ASA. You can open the club’s new membership form for completion. Dear Registration Officer Renewals batches must be completed and submitted to ASA Membership Services by 31st March 2017 this includes your OMS submission and payment. Failure to submit your full renewals by this time will result in your club being suspended and a late fee of either 10% of your 2017 renewal fees or £50.00 whichever is the greater. To give Andreas (treasurer) and myself enough time to complete the ASA system and send payment in time I am asking that the form is returned completed with prompt payments by Monday 20th March, this is giving everyone two weeks notice. Andreas has kindly requested that all future payments are to be sent electronically. If you do NOT have a bank account and can not pay electronically please can you contact Andreas or myself. Development: As a guide all swimmers involved with Diddy league should be looking at Category 2 (they do NOT need to be for Diddy) however they should be looking into entering future galas. AB Squad: Their own choice. Please join me in welcoming Andreas Leja to the club as our new treasurer. Andreas has taken over from Janet Peck from the start of March and can be reached at treasurer@morpeth-asc.org.uk. I would also like to personally thank Janet for all her hard work in the role, the whole club depends on that role and it is very much appreciated. Well done to all swimmers from Minnows, Development and B Squad who competed on Sunday at the Morpeth ASC Mini Time Trials Series - Gala 1. The results for each 25m race are now available on our Timed Swims page. (Please note swimmers age is as of 31st Decrmber 2017). The results indicate any Speed Awards achieved by swimmers. Details of how swimmers can collect certificates/badges for the Speed Awards will be communicated shortly! The results also indicate if any swimmer was disqualified from an event for swimming outside of the ASA rules. As you will be able to see more swimmers were disqualified in Breaststroke and Butterfly. 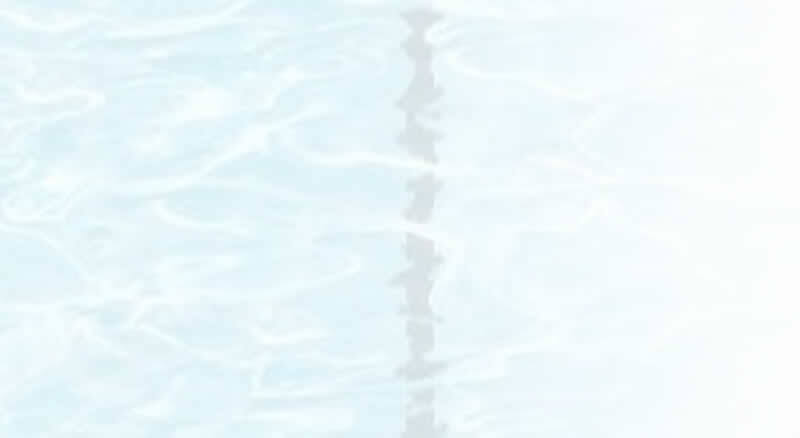 These are the two more technical strokes for young swimmers to master. Details of why each swimmer was disqualified will be passed onto the coaching team so they can work on correcting technique before the next time trial. I am hoping to run a similar time trial in May/June but need confirmation that the pool is available first. Finally, a big thank you to all the coaches, parents and older swimmers who helped yesterday afternoon pool side! Your help was really appreciated. Myself and a few other club members met with representatives of Northumberland County Council earlier this week, following the request I had made to be involved in the planning and consultation phase. I am pleased to say that it was a very positive meeting and they appear to be taking our wants and needs seriously when designing the new facility. The whole project is still at a very early stage though and the final message I was left with was that before any detail was agreed we need to impress the council that there is a real desire for any kind of new facility within Morpeth. Well before we get into any details about 6 lanes or 8 lanes we need to try and ensure the whole project gets the 'green light' to get built in the first place. I was advised that the best thing we can do to help this is to show how much support there would be in general for a new facility, In particular we need to get as many people as possible to attend the next consultation to show there is a lot of support for a new facility. The next consultation will be held at the Leisure Centre on March 16th between 3pm and 7.30pm so if you can attend and can perusade other to join you, please do, the more people who attend, the better chance we have of getting this project off the ground. 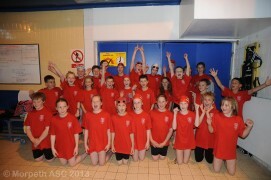 Well done to ALL Morpeth swimmers who competed at Diddy league on Sunday. Morpeth finished an excellent 3rd place. I have recently taken up the post of Head Coach at Morpeth ASC and thought I would introduce myself to you all. I have been teaching and coaching swimming for several years and have experience of developing swimmers up to and including national level. I am looking forward to working with all of the coaches, volunteers and parents/carers at Morpeth towards ensuring that all of the swimmers meet their goals and fulfill their potential. One of the first things I would like to do by the end of January is to have assessed all of the swimmers in each squad. I will also be handing out an information/goal sheet to the swimmers in B, A and AA for them to tell me about their swimming goals and level commitment. It is important that the swimmers attend as many sessions as possible in the next few weeks so that I can assess them over several sessions. I attended the Minnows training session on Sunday. Jenny Glossop will continue to be the lead coach for these sessions, I will attend once per month to monitor the progress of the swimmers in Minnows. Please contact me via coach@morpeth-asc.org.uk if you have any questions or catch me at the end of any training session. As you may, or may not be aware, after many years of inactivity surrounding the Leisure Centre the council have recently announced there is a plan to consider building a new Leisure Facility in Morpeth. I would encourage all members to show their support so we can at least show how much this would mean to us. Below is a copy of an email that was circulated to Leisure Centre members, the more people at the consultation event,the better at this stage. Also - there is an online survey that I would request everyone take a few minutes to complete. In the New Year I will be discussing with the MASC committee how we form a team to focus on this, but for now lets at least get the survey done and see where that takes us. As a valued customer we would like to invite you to attend a consultation event to discuss the development of new sport and leisure facilities for Morpeth. The event will take place at Morpeth Leisure Centre on Tuesday December 20th between 3 and 7pm. Congratulations go to our overall 2016 Swimmer of the Year Hannah Seymour and Samuel Tate. Also congratulations to our Squad Swimmers of the Year Declan Tate (Minnows), Henry Brett (Development), Kate Kennedy (B squad), Jake Hewitt (A squad), Matthew Eke (AA Squad) and William Pallett (AB Squad).